This actually happened during my student teaching experience. When I started writing this post, it was supposed to be a nice story about my first time ever using comics in the classroom. It was Aaron McGruder’s The Boondocks, and I was a student teacher looking for ANYTHING that might buy me 10 minutes of cooperation. SPOILER ALERT: it worked way better than I dreamed it would. But as I said, that’s another post. When I write, I like to take breaks and walk around. Maybe I’ll read the latest issue of Jem and the Holograms (which you should be reading too), or maybe I’ll play a little NBA2K, but this time I decided to do a some unpacking, since we were in the middle of moving to our new apartment. While shuffling through some old papers, I found my copy of Kathryn Strong Hansen’s “In Defense of Graphic Novels,” and I was immediately dumbstruck. You see, when I first started using comics in the classroom, Hansen’s article was one of my biggest weapons to justify using comics in the classroom. I’d talk to parents, administrators, and other teachers and I’d go “See? This is vetted, scholarly writing, son!” And Hansen dropped science in this thing! You want some resources that speak to why we should use comics in the classroom? Boom! Check out James “Bucky” Carter’s Rationale For Teaching Graphic Novels. Looking to pair classical literature with a graphic novel? Hansen’s got you covered! She suggests that Neil Gaiman’s Sandman is a complex text that pairs well with Shakespeare’s Midsummer Night’s Dream, Chaucer’s Canterbury Tales, and a host of other myths and fables from various cultures. The point is, Hansen provided me a bedrock on which to build my arguments, and for that, I’ll always be thankful. 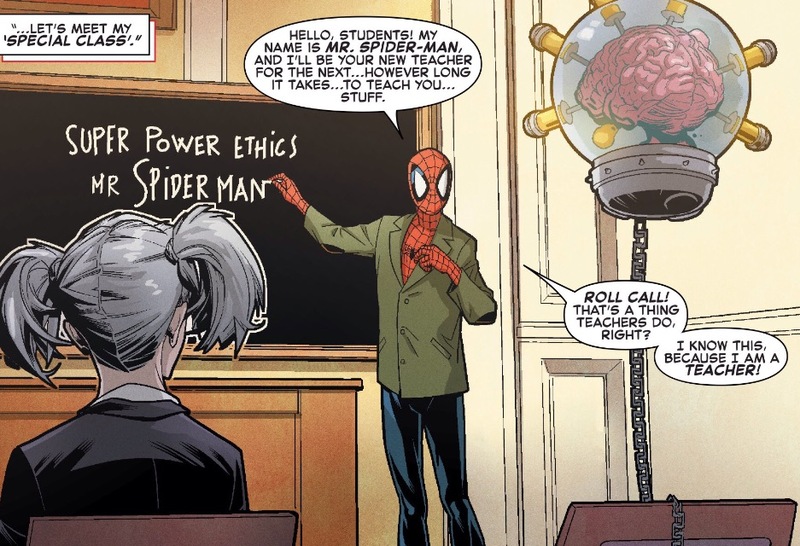 This is not the comic book classroom I’m talking about. BUT I take one issue with “In Defense of Graphic Novels”; I am done defending comics and graphic novels. I am no longer explaining why they should be allowed in classrooms, because the word “allowed” implies that I am making an exception for graphic novels when I use them. I’m not. I treat graphic texts the same way I would a traditional text; they offer many of the same benefits, with an added component of visual literacy, and richer use of literary elements like symbolism, mood, and theme. I am no longer selling people on the graphic adaptations of “classic” literature. The Great Literary Canon, while important, is chock full of texts that are exclusionary, dated and do not speak to experiences of the students I see in front of me every day. I am no longer making excuses, concessions, or apologies for using material that is accessible, high interest, and vital. My defending days are over. It’s time to go on the offensive. So what does this mean? For one thing it means being a better advocate and arming others to do the work I’ve been through. My buddy Eric over at The Other Comic Book Teacher, has already taken a first step in this, and I will soon be following suit by providing lesson/unit plans, linking to helpful resources, and adding to the knowledge base as best I can. Secondly, one of the biggest hills to overcome in the fight to legitimize comics in the classroom is the fact that there isn’t enough (pick a noun): research, data, scholarly writing, evidence, etc. I think it’s time that WE (you, me, US) start to produce this stuff. Last year at C2E2 (Chicago Comics and Entertainment Expo) I was on a panel with David Rapp, a professor of Psychology at Northwestern University, and one of his major gripes was that there wasn’t enough trustworthy data out there to support the use of comics in the classroom. He went on to say that it’s up to us as a teaching community (and fan community) to become those data points, and help legitimize what we already know: comics is not only real reading, but it’s beneficial, too. It’s this need for collectivism that brings me to my last, but most important point. In order to really go on the offensive for comics in the classroom, the most important thing we need are allies. For every librarian, teacher, and parent I meet who is excited to get comics in kids hands, I meet a ton more who don’t have the resources to get comics, or who don’t have community or administrative support when they try to incorporate comics in their curriculum. Eric and I are kicking around some ideas to help in this area (more to come soon on that), but in the meantime, this is where I make my plea to the publishers of the comics world to make a more concerted effort in the education arena. To Marvel, Image, DC, Boom!, Valiant, IDW, Oni, and a ton of other publishers out there who helped make comics a major part of my life, I say this: we need your help. There are people who want to get your books into their classrooms, libraries, community centers, etc., and they have no idea how to do it, nor do they have the means. This is where you act like the heroes whose stories you tell, and reach out to folks who need help. Those of us who are already using comics in the classroom have created resources, would love to get those out to a larger audience, and those of us who haven’t started yet, desperately need help with those first steps. Let’s team up (see what I did there?) to help each other, and get more comics into more classrooms. I truly believe that comics can make a meaningful impact in the classroom, because I’ve seen it, and I’ve experienced it. That’s the point of going on the offensive for comics. If we actually work together, we can really have an impact on literacy in this country, and continue to grow this community that we love. 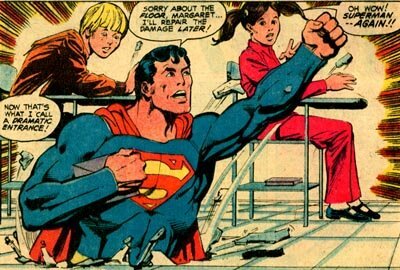 Reblogged this on Mr. Kallenborn: The Other Comic Book Teacher. I wanted to reach out to you because you touch on some interesting points. I found your blog while doing some research for a press release I’m working on as to why comics are beneficial for young students and to better help them learn. You see, the company I work for has produced three comic books based on risky behaviors and how to prevent teens from engaging in underage drinking, bullying and sexting.